There are many outlets for purchasing binoculars, spotting scopes, and related equipment and there are two Midwest-based companies that are excellent, offer competitive pricing, and are ready to help you select the right equipment for your young birder. Redstart Birding (our optics partner) has a fantastic selection of quality binoculars, spotting scopes, and other birding accessories. And Birdwatcher's Digest offers great information on how to select the perfect binocular for young birders on their website! Birdwatching.com (Fairfield, IA) has a selection of birding starter kits with recommended binoculars, field guides, and more at different price levels. Michael and Diane Porter are known for their extensive testing and detailed reviews of equipment. Both Redstart Birding and Birdwatching.com are friendly and experienced in helping you select just the right optical equipment from among all the options. You can't go wrong at either place! Cape May Bird Observatory - Recommended Optics for Young Birders and much more. If you are shopping anyway at Amazon, if you start your shopping at this link, the Amazon Smile Foundation Amazon will donate 0.5% of the price of your eligible AmazonSmile purchases to Iowa Young Birders whenever you shop on AmazonSmile. Your price doesn't change...and Iowa Young Birders benefits! Looking for hats, shirts and more with the Iowa Young Birders logo? It's all right here. From the Redstart Birding website: The Vortex Crossfire 8x42 is an excellent entry-level binocular. All the fundamentals of a good birding binocular are here: durable construction, close focus to within 10 feet, waterproof, and plenty of eye relief for eyeglass wearers. Weighing less than 24 oz., the Crossfire is comfortable to carry around all day long. If you ever have a problem with your Vortex Crossfire 8x42 binocular, Vortex’s lifetime, unconditional VIP warranty has you covered. 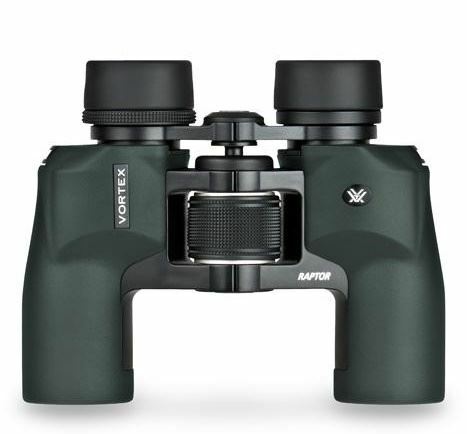 From the Redstart Birding website: The Vortex Raptor 8.5x32 binocular is an outstanding optic for young users who are new to wildlife observation. Its fully multi-coated lenses create bright, crisp images. The lightweight body, adjustable interpupillary distance range, and twist-up eyecups can accommodate young users as well as adults. The binocular is O-ring sealed, waterproof, and internally fog-proof for use in all of weather conditions. The Vortex Raptor arrives with a case, strap, rainguard, and objective lens cover. From the Redstart Birding website: If you're looking for an exceptional binocular for under $300, the VortexDiamondback 8x42 might just be your best bet. It's surprisingly lightweight compared to other optics in its class, coming in just under 22 oz. 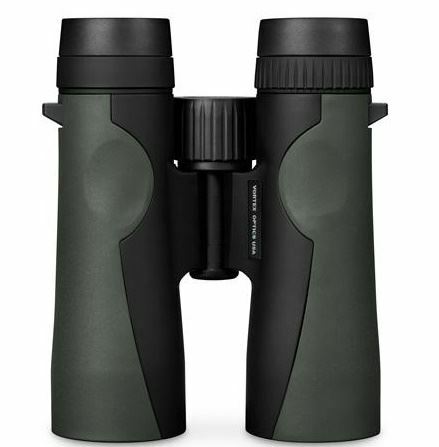 An excellent close focus and generous field of view are perfect for bird watching, and the short hinge design provides a comfortable grip that won't tire out your hands too quickly. The Vortex Diamondback 8x42 is backed by the Vortex VIP lifetime warranty. OUR COMMENT: These models are good examples of making a wise choice in binoculars. Both are waterproof, solid quality and offer a very good image quality for the price. The Crossfires are a little larger and work well with our older kids. The Raptors are lighter and fit better in smaller hands. In particular, the porro-prism design of the Raptors allow them to adjust to a smaller distance between the eyes for smaller faces. 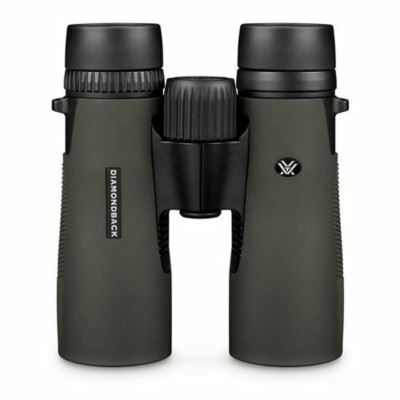 The Diamondbacks are similar to the Crossfires but of slightly higher quality and would be consider a set of binoculars that a young birder could have for a lifetime. We also REALLY like the Vortex Optics guarantee on these particular items. It's unlimited, unconditional, and transferable protection of Vortex Optics products. Your best bet is to get on the phone with either Redstart Birding (833-262-1568 ) or Birdwatching.com (800-779-7256) and get their expert guidance. Both of them offer these two models above and lots more.